Health status is partly determined by physical fitness level. Physical fitness can be developed through different physical activities under condition that regularity and intensity are maintained on optimal level. One of such physical activities is step aerobics - one of the most popular collective fitness forms offered in fitness clubs. The objective of this study was to evaluate the influence of step aerobics training on VO2max, isometric strength and body composition of young female students. Female students aged 19-21 of University of Physical Education and Sport in Gdańsk were subjects in this study. VO2max, isometric strength of elbow flexors and knee extensors, as well as body composition, were measured week before and week after a ten-week step aerobics training. For statistical analysis, basic descriptive statistics and student’s t-test were applied for dependent variables. After ten weeks of training there were no statistically significant changes in body composition, probably due to lack of calorie intake control. Significant changes were observed in isometric strength of elbow flexors but no changes in isometric strength of knee extensors. There was a compensation in isometric strength noted between left and right leg after ten weeks of training, where left leg was weaker than the right leg before training. Significant changes were noted in VO2max values, which increased from 42.04 ml/kg/min-1 to 45.71 ml/kg/min-1. Step aerobics training can sufficiently increase VO2max in young females and has a potential in developing strength of upper extremities. When body composition is the main purpose, diet should be taken under consideration. 2. Ballor D.L., McCarthy J.P., Wilterdink E.J. Exercise intensity does not affect the composition of diet- and exercise-induced body mass loss. Am J Clin Nutr 1990;51 (2): 142-6. 3. Blair S., Cheng Y., Holder S. Is physical activity or physical fitness more important in defining health benefits? Med Sci Sports Exerc. 2001;33 (6): 379-399. 4. Connolly J., Romano T., Patruno M. Effects of dieting and exercise on resting metabolic rate and implications for weight management. Family Practice 1999;16(2): 196-201. 5. Hallage T., Krause M.P., Haile L., Miculis C.P., Nagle E.F., Reis R.S. The effects of 12 weeks of step aerobics training on functional fitness of elderly women. J Strength Cond Res. 2010; 24(8):2261-2266. 6. Hansen D., Dendale P., Berger J., van Loon J.C., Meeusen R. The Effects of exercise training onfat-mass loss in obese patients during energy intake restriction. Sports Med 2007; 37 (1): 31-46. 7. Irving B.A., Davis C.K., Brock D.W., Weltman J.Y., Swift D., Barrett E.J., et al. Effect of exercise training intensity on abdominal visceral fat and body composition. Med Sci Sports Exerc. 2008; 40(11): 1863–1872. 9. Kraemer W.J., Keuning M., Ratamess N.A., Volek J.S., McCormick M., Bush J.A. et al. Resistance training combined with bench-step aerobics enhances women's health profile. Med Sci Sports Exerc. 2001;33(2):259-69. 10. Kravitz L., Cisar C.J., Christensen C.L., Setterlund S.S. The physiological effects of step training with and without handweights. J Sports Med Phys Fitness 1993;33(4):348-358. 11. Kyröläinen H., Santtila M., Nindl B., Vasankari T. Physical Fitness Profiles of Young Men Associations Between Physical Fitness, Obesity and Health. Sports Medicine 2010; 40 (11): 907-920. 14. Sassen B., Cornelissen V., Kiers H., Wirtink H., Kok G., Vahees L. Physical fitness matters more than physical activity in controlling cardiovascular disease risk factors. Journal of Cardiovascular Prevention & Rehabilitation 2009 Dec; 16(6):677-683. 16. Williford H.N., Richards L.A., Scharff-Olson M., Brown J., Blessing D., Duey W.J. Bench stepping and running in women. Changes in fitness and injury status. J Sports Med Phys Fitness. 1998;38(3):221-226. 17. Zarębska A. Aktywność fizyczna „fitness” jako forma oddziaływania usprawniająco-zdrowotnego - rozprawa doktorska. Akademia Wychowania Fizycznego i Sportu im. Jędrzeja śniadeckiego w Gdańsku. Gdańsk 2007. 18. Rhea M., Alvar B.A., Brukett L.E., Ball S.D. A Meta-analysis to Determine the Dose Response for Strength Development. 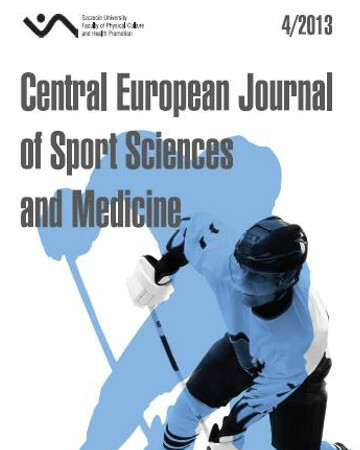 Medicine & Science in Sports & Exercise 2003;3: 456-464. 19. Rixon K.P., Rehor P.R., Bemben M.G. Analysis of the assessment of caloric expenditure in four modes of aerobic dance. J Strength Cond Res. 2006;20(3):593-6. 20. Badanie TNS OBOP, Aspirin Protect: “Jak Polacy dbają o serce”, badanie zostało zrealizowane przy użyciu metodologii CAPI na reprezentatywnej próbie Polaków w wieku 18 lat i więcej, w dniach 16 -19 czerwca 2011.